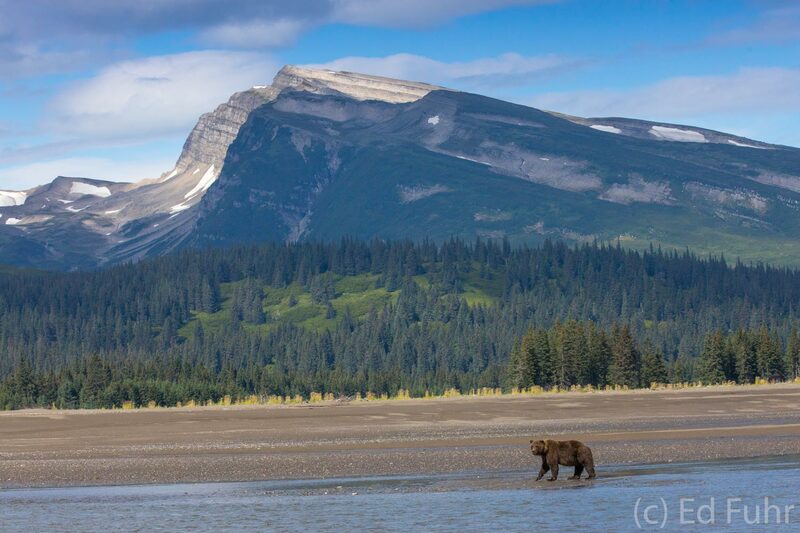 A grizzly bear prowls the tidal inlet in the shadow of the rugged Chigmit Mountain range. Rivers and creeks tumble down these mountains and glaciers at the southern end of the Alaskan Range to the west of Cook Inlet. . Photo © copyright by Ed Fuhr.